Last week in our end of the year tax strategies, we spoke of the IRA Distribution, the week prior a Roth Conversion to maximize your tax deductions. 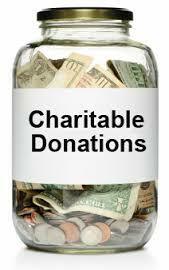 This weeks topic is a donation related technique to maximize your tax savings. A Special thanks to all Veterans on your honored day – No way we can ever fully pay you for your duty – Many thanks and much appreciated! This entry was posted in Investing/Financial Planning, Tax Related and tagged Charitable Donation, charity, Donation Optimization, Foundation. Bookmark the permalink.